Ah, online dating.... You can be so hysterically creepy at times. Or should we say most of the times? In either case, a creepy unsolicited OKCupid message can sometimes be a good thing. At least Tan Roberts and The Rookery gang thinks so. This coming Wednesday they are inviting all of Bushwick to share some of their most ridiculous messages they have received. "It all started while sitting around The Rookery one night with Jamie [the owner] and some friends lamenting about the dating scene in Bushwick and NYC in general," told us organizer Tan Roberts. "We got to talking about online dating and how creepy it can be; I pulled up the app on my phone and started reading some of the more disturbing, unsolicited messages I had received as if it was poetry. Jamie, the owner, thought it was so hysterical that he said, "you've gotta do this here one night," and it took off from there." 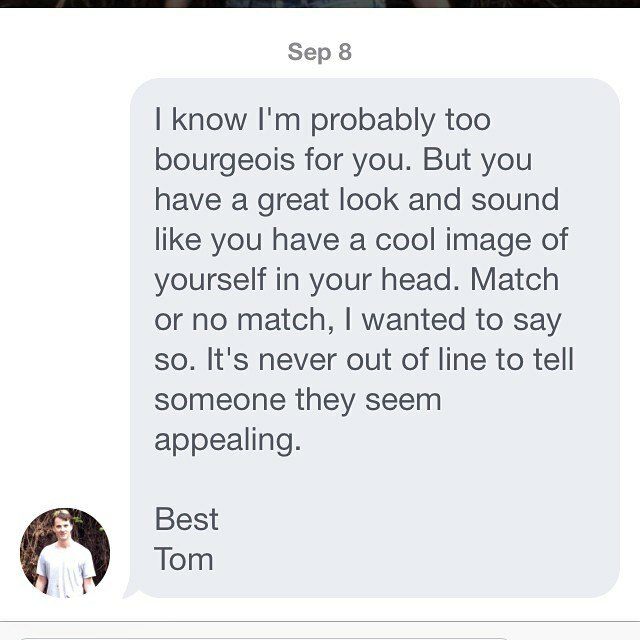 So do you think that your OKCupid inbox beats this message? Then come and share your messages this coming Wednesday at OKStupid Poetry Slam Open Mic at 8PM at The Rookery. RSVP on Facebook here.